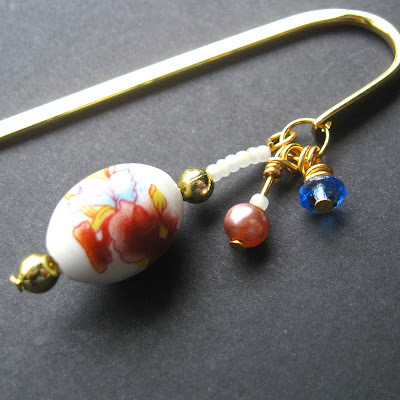 This beautiful handmade purse charm is inspired by and named after Emma Woodhouse, the "handsome, clever and rich" matchmaker of one of my favorite Jane Austin novels. Sweet and pretty, the charm is a combination of pearl beads clustered like a cloud of white atop a larger dusky pink vintage round. I love these dusky pink rounds, found originally on a vintage necklace picked up in a Goodwill a few towns over from the town I grew up with as a child. The pearls are then topped with a shimmering glass crystal bead for a bit of glitz and glimmer. Small and sweet, the entire charm measures 1.25-inch (3 cm) in length and, like all of our decorative charms and embellishments, it can be attached to a phone, zipper tab, key chain, purse and more. 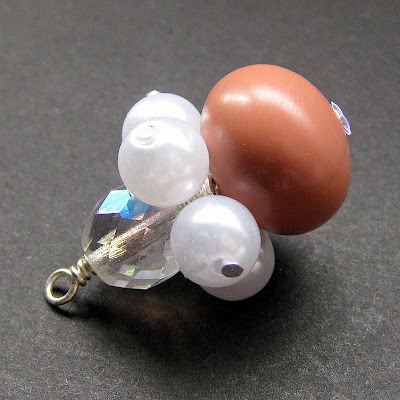 It could even be used for a rear view mirror dangle for your car due to the ability to interchange and attach any kind of fastener needed to it's top loop.